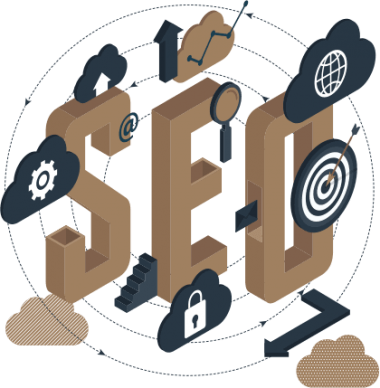 SEO offers a visible and effective search presence leading to a considerable increase of traffic, sales, profitability, and cost efficiency for our clients. Our SEO services include: keyword research, competitor's analysis, site audit, on-page optimization, link building, monthly report. Users generally tend to visit sites that are on the first page of the search results page of their query in various search engines, as they are perceived to be more relevant to the query. In order that your website gets more traffic from search engines, it is imperative that it figures higher up in the search results page of relevant queries. This can be achieved by adopting powerful web marketing technique called Search Engine Optimization. In order to get maximum visibility, a business needs to put its best foot forward and create a marketing strategy that projects it in the best light. Being one of the top search engine optimization companies, we guarantee the best practices to take your business to the top. We have been unanimously rated as the best SEO Agency in Egypt, Dubai, Abu Dhabi, Kuwait, Qatar, as well as KSA. We start off by formulating an SEO strategy that best suits your business and your goals. Results are achieved once the business goals, strengths, as well as grey areas are taken into account in order to formulate a plan that is directed towards accomplishing specific targets. We spend time and effort in understanding your business and providing a strategy that is best suited to the business, the industry, and the goals. Once the strategy is in place, we search for the keywords that are best suited for your business. Keyword Analysis is one of the most important aspects of any SEO campaign. Keyword Analysis is the process of searching relevant keywords related to your website that are frequently searched by people for getting information related to your product. A site that is devoid of keywords is doomed for failure. For selecting appropriate keywords for your website, we first analyze the website and its competitor websites to get an idea of the type of keywords that can prove beneficial if chosen. Keyword Research & Analysis goes a long way in increasing the visibility of your website and helps foretell the level of success that your website can achieve. It is important to know your competitors in order to surpass them. A thorough competitor analysis helps figure out the industry requirements and the potential for growth. In order to be better than the competitors, it is important to analyze their strengths, shortcomings, and strategies and then device a strategy that helps your business stand out. On page optimization relates to the factors that have a direct impact on your website or web page listing in search results. It is a vital part of SEO. Proper techniques followed for on page optimization can help better your website rank as well as visibility in search results. The main factors of on page optimization include content optimization, Design and architecture of your website, trouble-free navigation to different webpages, title tags, META tags, etc. We understand the importance of on page optimization for a website and start by studying the whole website to gather information about where the website is lacking. We work on the factors that influence on-page optimization of the web pages and help improve your website. Off Page Optimization is the work that you undertake outside of your website to improve the SEO rankings and visibility of your website. In other words, off-page optimization is a method of online marketing of your website. Link popularity is the most important factor affecting off-page optimization. It is vital that the websites providing backlinks for your site are good and related to your area of work. Off page optimization is related to link building work and social media marketing. We tailor our services to match the unique marketing requirements of your business and provide solutions that help you get the desired results. Our relentless efforts in this direction make us the best SEO agency Egypt, in Dubai, Abu Dhabi, Kuwait, Qatar, as well as KSA.